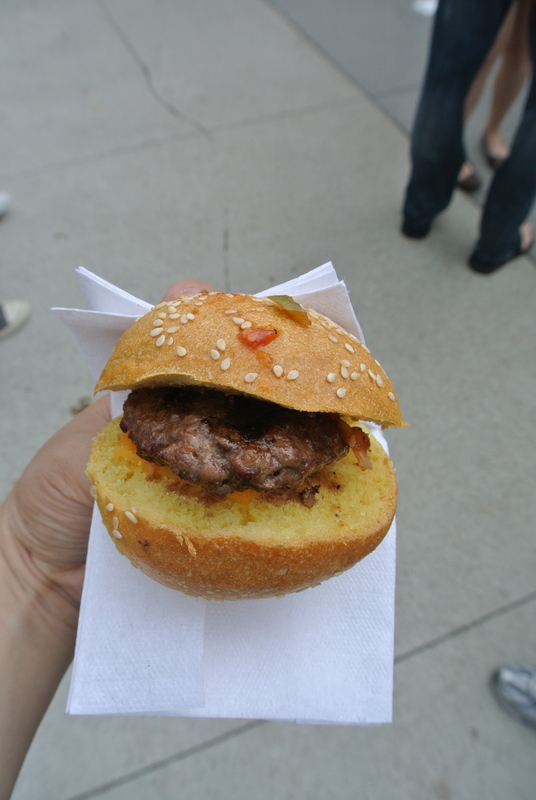 Two weeks ago, it was burger week in Toronto where participating restaurants created their own unique burger to be put on their menus for just $5. 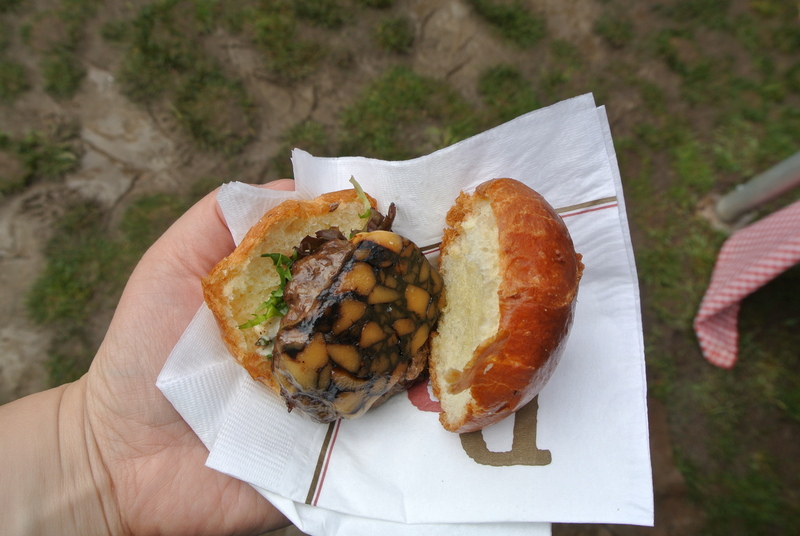 But the best part of burger week is Burger Day – the final day where all the restaurants get together and create slider versions of their creations! And all for $30! 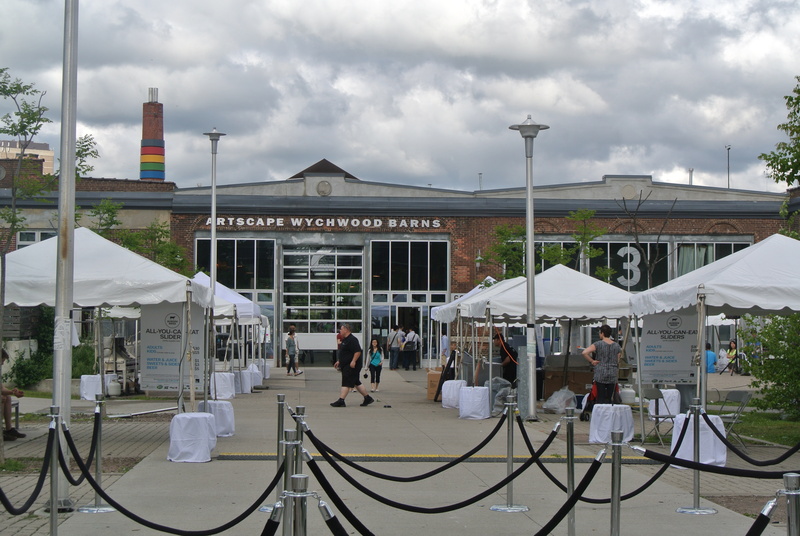 This year the event was held at Wychwood Barns, a unique community cultural centre and park that was converted from an old TTC (Toronto Transit Commission) streetcar repair barn. Located centrally, hundreds of Torontonians turned up for the event. 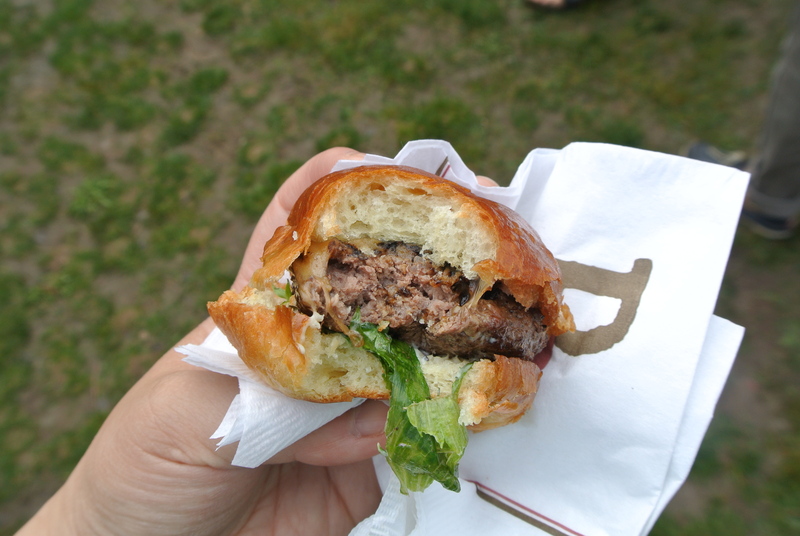 My favourite burger – BNB‘s bison burger with irish porter cheddar cheese. It was perfectly grilled and the cheese was thick and sharp in flavour! 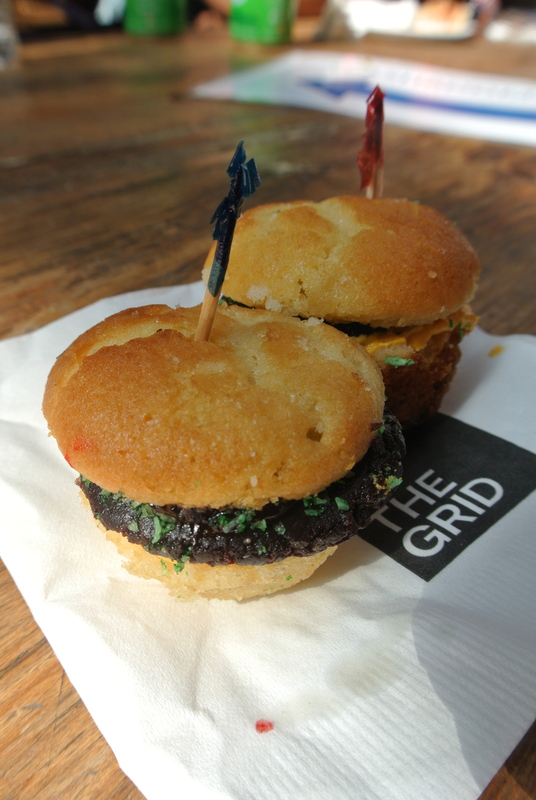 And the perfect way to end the meal, a burger cupcake – that’s right, you heard me! Slapped between a mini cupcake cut in half to resemble the bun, a flattened chocolate truffle to act as the burger, yellow buttercream for the mustard and green sprinkles for relish! Can’t wait until next year! 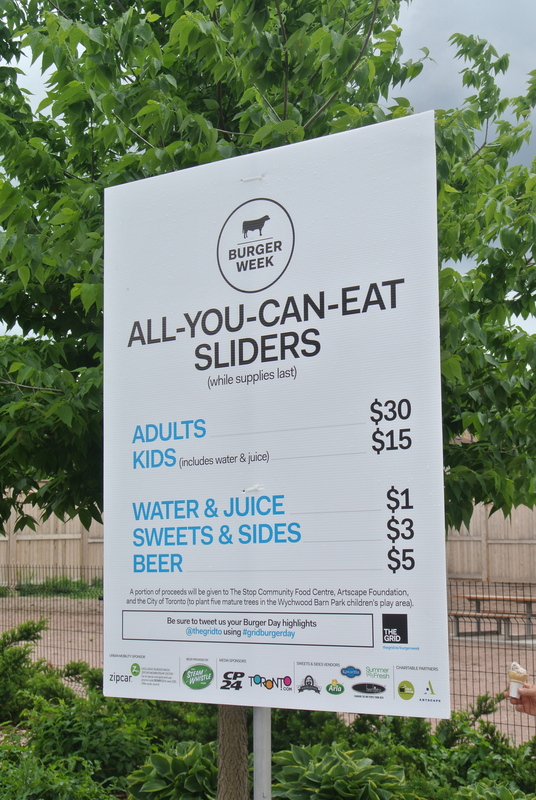 Burger Day – all-you-can-eat sliders for $30! The Burgernator – beef, bbq sauce, cheddar, onion rings and salsa. 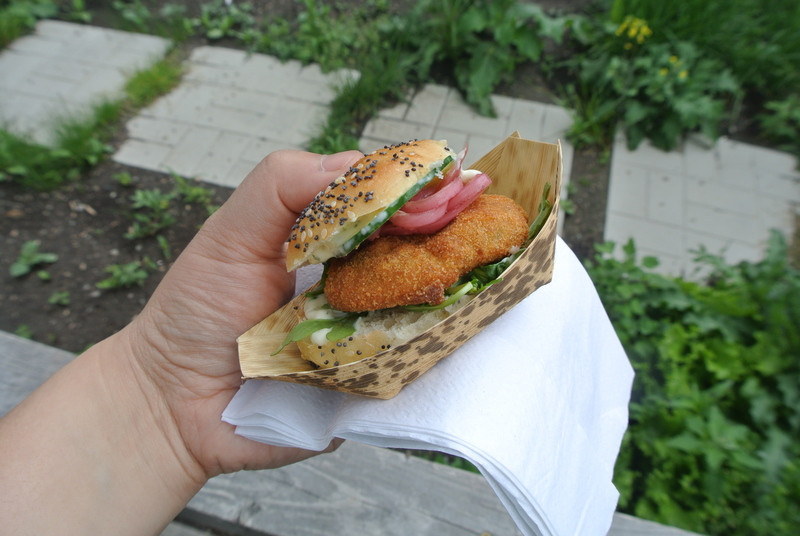 Emma’s Country Kitchen – corn and chickpea fritter, lemon-basil mayo, cucumber, pickled onion and arugula! BNB – bison burger with arugula, cured tomato, garlic aioli and irish porter cheddar! A close up of the BNB burger! 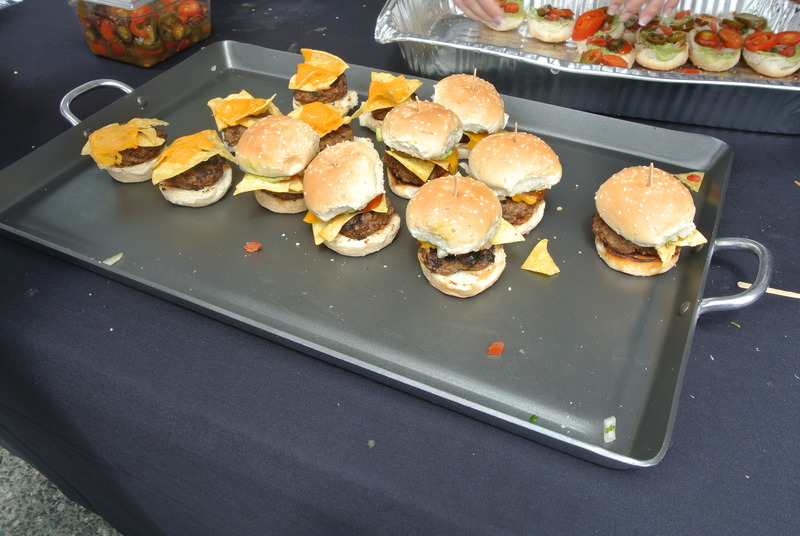 Kitch Bar – beef patty with cheesy nachos, pico de gallo, guacamole and jalapenos. 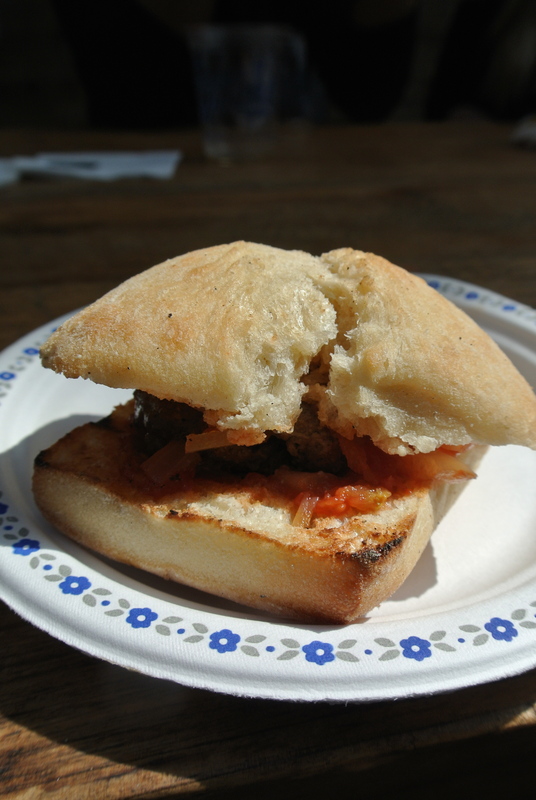 Hey Meatball – grass-fed beef patty, cheese, spicy sauce, lettuce and tomato jam on a ciabatta bun. Madeleines – cupcake burgers, how sweet? 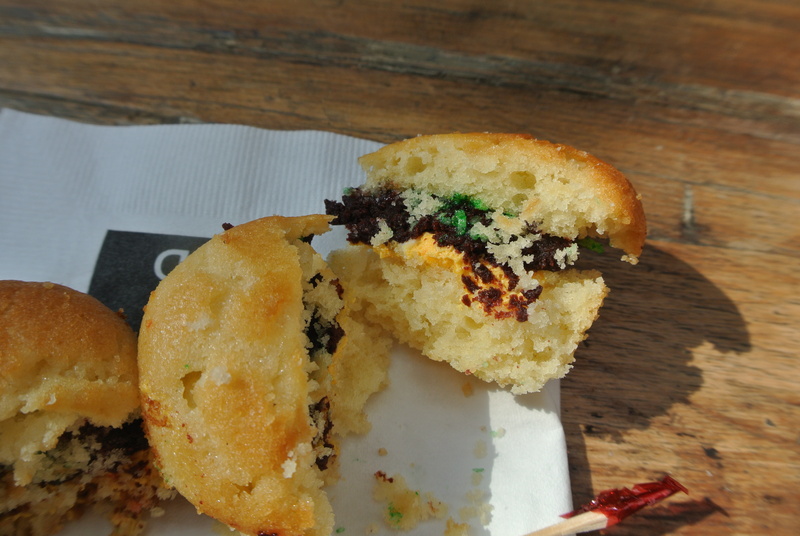 A close up of the cupcake burger – cupcake, chocolate truffle, yellow buttercream, and green sprinkles.